Erdogan is in Cairo for 4-way talks as regional parties desperately try and push Hamas and Israel towards a truce and avert an Israeli ground invasion of Gaza. Israeli Prime Minister Banjamin Netanyahu told foreign leaders Saturday that he would agree to a ceasefire if Hamas agrees to stop rocket fire from Gaza. Also present at the talks were Quatari Emir Haid Bin Khalifa al-Thari and several Palestinian leaders. A senior advisor to Palestinian authority president Mahmoud Abbas praised the Egyptian efforts to broker peace while deploring the Israeli actions. “President Abbas has consistently offered negotiations for a two state solution, but Israel has shown no interest in these negotiations. So this is the result. And the Palestinian people pay the price.” The advisor told Al-Monitor, a website specializing in Middle East coverage. Arab League Secretary General Nabil El Araby said after the talks,"We need to start taking effective steps to push influential countries to take the issue back to the UN Security Council." 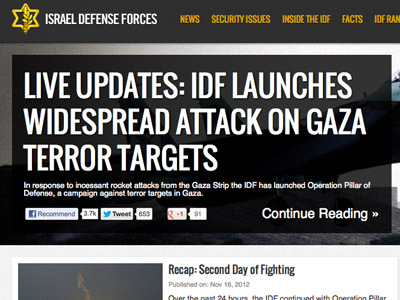 However sources from inside Israel have been sending mixed messages over the prospects of a ground offensive on Gaza. Josh Hartman, Israeli Defense Chief spokesman told RT. While Eli Yishhai, Israeli’s Interior Minister was blunter about the operation in Gaza, “The goal of the operation is to send Gaza back to the Middle-Ages. Only then will Israel be calm for 40 years,” he told Haaretz, an Israeli daily newspaper. 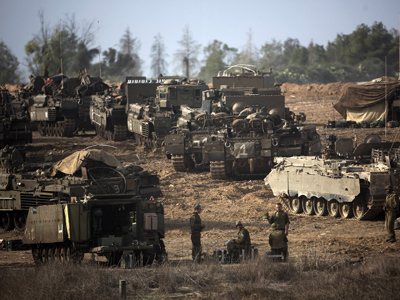 But Yossi Melman, an Israeli security correspondent struck a more cautious note.He told Al Monitor that Israel’s mobilization of reserves was mainly for psychological purposes to increase pressure on Hamas and that Israel was reluctant to move in with ground troops. However, he also stated that if the Cairo talks came to nothing and there was no ceasefire, the Israeli Defense Force (IDF) would conduct a ground attack, which would result in fatalities for the Israeli military and far more Palestinian deaths. This, Melman argued, may result in Israeli public opinion turning against the government and force regional players Egypt and Jordan to take a more severe line with Israel. Meanwhile, Hamas also has doubts as to the feasibility of a ceasefire. Senior Hamas leader Mousa Abu Marzouk told the Maan Palestinian news agency that he does not expect a ceasefire soon. "There are many calls for a truce but it will not be soon," he said. 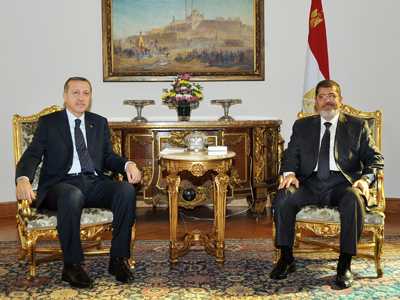 Hamas is an offshoot of Egyptian President Mahammed Morsi's the Muslim Brotherhood. Quietly, though, non-Muslim members of Morsi's government are said to be pushing Hamas to end its rocket campaign, it was reported by AP. As operation Pillar of Defense enters its fifth day, over 800 targets have been hit by Israel in Gaza, while Hamas has launched some 750 rockets into Israel. 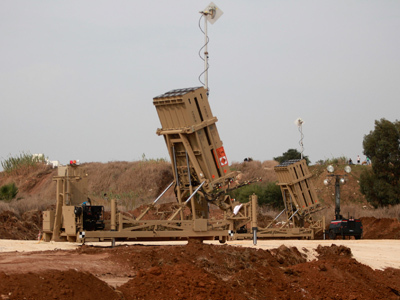 Israel’s Iron Dome Ballistic missile defense battery has hit eight out of 10 incoming Palestinian rockets, many of which are crude homemade devices. 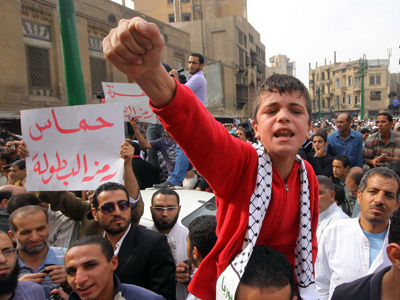 At least 45 Palestinians have been killed, including militants, civilians and children. 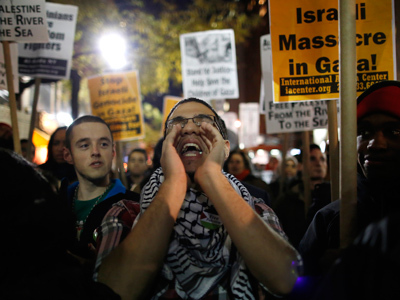 Three civilians have been killed by airstrikes from Gaza in Israel.